Our World Cup match to bet on today is a no-brainer as it's England's first match in the tournament where they'll be taking on Tunisia at the Volgograd Arena at 7pm Monday evening. If you're betting on the fixture, make sure you check out our Tunisia v England preview, or the betting offers & price boosts that you can use on this World Cup match. We've highlighted British Bookmakers best betting odds for a Tunisia win (H), a win for England (A), or a draw (D) below. Use the ALL ODDS tab to see more bookmakers odds. NB: Tunisia v England odds correct at the time this match preview went live and are subject to change. Last updated: GMT 12:58 18/06/2018. We've compiled a list of bookmakers latest betting offers and price boosts that you can claim and use for betting on England's match against Tunisia at World Cup 2018. You can watch Tunisia v England live on BBC1 at 7pm on 18/06/2018. 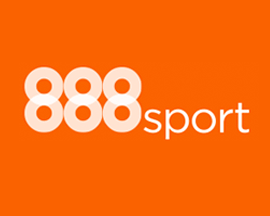 Signup with 888sport today using promo code '888ODDS' and you'll get the boosted price of 10/1 on Harry Kane scoring a goal at any point during the match. 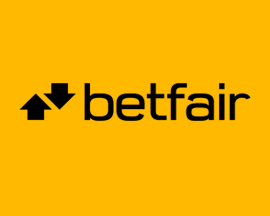 Signup with Betfair today using promo code 'ZFBDPN' and they'll boost the price of England beating Tunisia to 50/1 and let you claim up to £100 in free bets! New Customers can get England at an enhanced 50/1 to beat Tunisia. Max Stake £1. 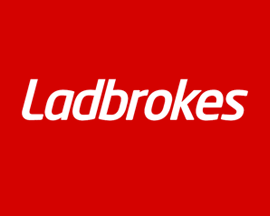 Winnings paid in free bets, valid for 7 days, only deposits with cards/Paypal count. Exchange and multiple bets excluded. T&C’s Apply. 18+|Gamble Aware. Bet £10 on England to beat Tunisia at Coral and they'll credit your account with a £5 free bet for every goal that England score during the match! 18+. Min stake £10. £5 per goal paid as free bet. Not valid with Cashout. Offer valid on England in 90 minute pre-match market. One free bet per customer, per goal scored. Max of 3 free bets. Applies to goals scored in 90 mins. Free bets valid for 24 hours. T&Cs Apply. 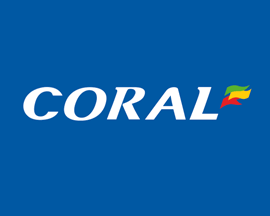 Signup for a new account at Coral and they'll boost the price of England beating Tunisia to 33/1. Max bet £1. Get a £5 free bet if your bet doesn't win! Signup with Ladbrokes today using the promo code 'ENGLAND' and you'll get the boosted price of 28/1 on England scoring a goal against Tunisia! Signup to PaddyPower using promo code 'YSKA24' and bet £10 on England v Tunisia and you'll get a £10 free bet to use on every England World Cup game! New customers, place a £/€10 bet on England v Tunisia - at odds of at least 1/10 (1.1) - and get a £/€10 free bet for every England World Cup 2018 match. Free bets must be used on England World Cup matches. Only deposits made using Cards/Paypal will qualify. Free bets will be awarded when fixtures are available - see full terms for details. T&Cs apply. 18+|Gamble Aware. 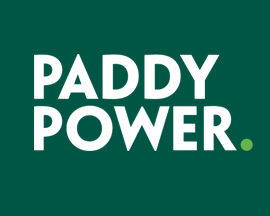 Signup for a new account at PaddyPower today using the promo code 'YFBC66' and you'll get the boosted price of 50/1 on England beating Tunisia. Signup with PaddyPower today and bet £20 on Tunisia v England and if you don't win your bet, they'll refund your original £20 stake - in cash! England get their World Cup campaign underway tonight, when Gareth Southgate’s men take on Tunisia in their opening game of the competition. Bookmakers offer England as the clear favourites to win, and with a strong looking English squad, we expect a win from one of the top eight World Cup favourites. World Cup Group G is a bit of tough group as it contains Belgium, the 6th favourite team to win the tournament, and so a win against Tunisia is crucial for England’s World Cup campaign. They'll still have one of the top rated teams to play when they take on Belgium, and while they’re the favourite to win, you’ll still find bookmakers offering some great price boosts. There is a positive feeling about this new look England squad, and Gareth Southgate has confirmed he will play the 3-5-2 formation against Tunisia. With a strong back five focusing on keeping a formidable defence in place, and Harry Kane leading the up front attack, this should be one hell of a game. England may be fielding a younger squad who lack experience, but Southgate has an abundance of talent in the squad and has created a strong team who won’t be easy to beat. England have only met Tunisia twice in the international arena, and Tunisia has never actually managed to secure a victory against England. While the North African’s aren’t expected to come away from Tunisia v England with much, Southgate can’t take anything for granted and needs his squad playing at their best. Tunisia, on the other hand, have never made it past the group stages of the World Cup, and bookmakers offer a pretty low chance of them making it through this time round. This is their first appearance in a World Cup in 12 years, however Maaloul’s men looked good in their last friendly, and shouldn’t be underestimated until we see how they play against England. Luckily for England there are no major injury concerns, with Marcus Rashford back in training and looking fit, and Southgate really needs his team at full strength for this opening game. It’s expected that Tunisia will adopt the same approach they took against Spain last week, and if England can beat Tunisia’s strong defence they should dominate possession and have a lot more scoring opportunity. England should, without a doubt, win this game. Tunisia may provide a bit of a challenge but Southgate’s men should walk away with a victory in Volgograd.